Gingivitis can be uncomfortable for the sufferers and the people around them Plaque and gingivitis work together to give you bad breath. Whether you’ve noticed it yourself or had a concerned family member point it out, you know the discomfort and embarrassment that can result. The good news is that Preserve Parkway Dental offers numerous treatment options. Dr. Dennis Kaivo & Dr. Jennifer Hummel can explain to you how to treat your gingivitis. Getting rid of the root cause usually helps with the bad breath, but what about in the meantime? There’s a lot you can do to freshen your breath, much of it in the kitchen, with no expensive pills or gadgets necessary. 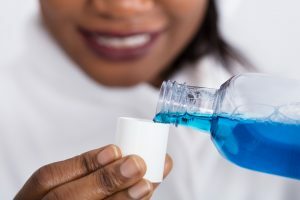 If you have concerns about the health of your teeth, or your bad breath is stubbornly still there despite trying these home remedies, it’s time to call in the experts. At Preserve Parkway Dental, we can help you keep your gums healthy and your smile white. Contact us today to schedule your next checkup.